Hubble's successor is ready for testing ahead of the October, 2018 launch. The Hubble Space Telescope has given humanity unprecedented glimpses into the universe, but it will soon be replaced by a far more powerful model. 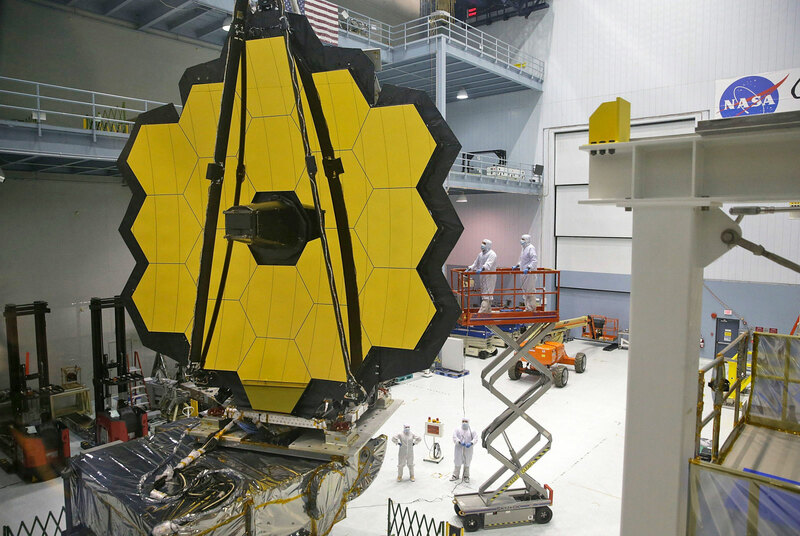 NASA administrator Charles Bolden unveiled the completed $8.8 billion James Webb Space Telescope (JWST), which will be able to see the universe as it was 13 billion years ago. It's equipped with a 21-foot, gold-coated mirror array that can collect seven times more light than Hubble and scan the infrared spectrum to see through dust. "We've done two decades of innovation and hard work, and this is the result," project scientist John Mather says. On top of peering into the deepest, oldest regions of the universe, the telescope has enough power to hunt for habitable exoplanets. "We'd like to know if another planet out there has enough water to have an ocean, and we think we can do that," says Mather. Thanks to its relatively large, extremely smooth mirror -- which would have defects just a few inches high if stretched to the size of the United States -- it has enough power to detect a bumblebee on the moon. To detect infrared light, the JWST will be cooled to around -220 degrees Celcius (-364 degrees F, just 50 degrees above absolute zero). To achieve that temperature, it's insulated from the sun by five membrane layers, each no thicker than a human hair. Those membranes were finished just last week, marking an end to construction of the telescope. The team will now start a rigorous battery of tests to avoid problems the Hubble had (which would be impossible to fix, since the JWST will be nearly a million miles from Earth). First, scientists will rattle the device and blast it with 150 decibels of noise to simulate launch conditions on the giant Ariane 5 rocket. Then, it'll undergo cryogenic testing to confirm it can survive the extreme temperatures of space. Lastly, it'll undergo final performance tests to ensure there are no Hubble-like optical defects. The entire James Webb mission, slated for October, 2018, will keep astronomers on edge for a full month. 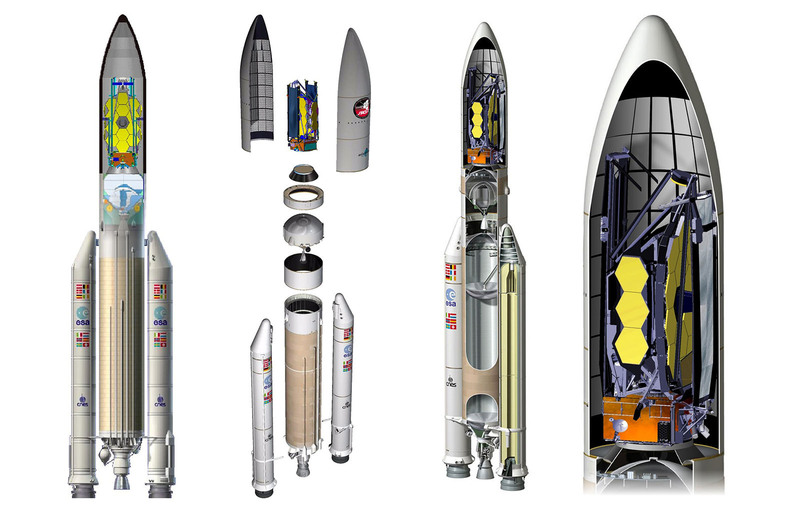 It'll be launched by the ESA's Ariane 5 rocket, considered the world's most reliable vehicle. It'll then make a 30-day, one-million-mile trip to the second Lagrange point, and will deploy its antenna, sunshield, secondary mirror, and primary mirror wings en route. The first images, likely of a relatively bright star or star field, will be the final proof that everything went to plan. Considering everything that could go wrong and the dollars at stake, the scientists behind it probably won't exhale until they see those early pictures.